Hammer and Gumption » Home Improvement ROI(Return of Investment)…. Home improvements are often made in a attempt to boost your Home’s value, but which improvements offer the best return of investment? 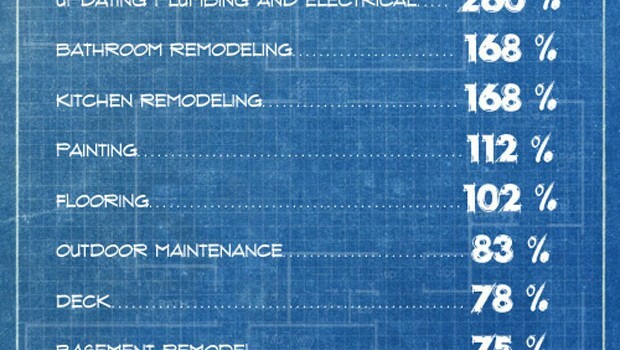 DiGiorgi Roofing and Siding’s latest home improvement article is out and we’ve created a new Infographic to celebrate. We’ve presented stats on the 10 projects that provide greatest Return on Investment (ROI) increases for home owners in a visual, concise format that could be of real interest to your visitors. We invite you to post the following graphic for your visitors, along with info on the full article.